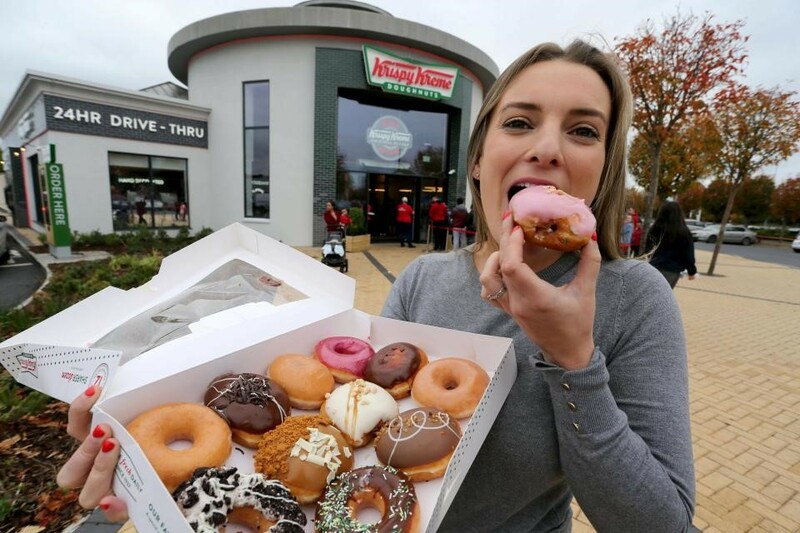 The Krispy Kreme chain has opened its first Irish store in Dublin on 26th September, 2018. The doughnut firm, which was first established in North Carolina in 1937, now has more than 1,300 stores in 31 countries — with its ‘Original Glazed’ doughnut still the best seller. The store churns out 270 batches of a dozen doughnuts per hour, or 3,240 of the treats, and the ovens have been working at “full capacity” since opening. The Dublin store has the facility to allow customers to watch the doughnuts being made from scratch. 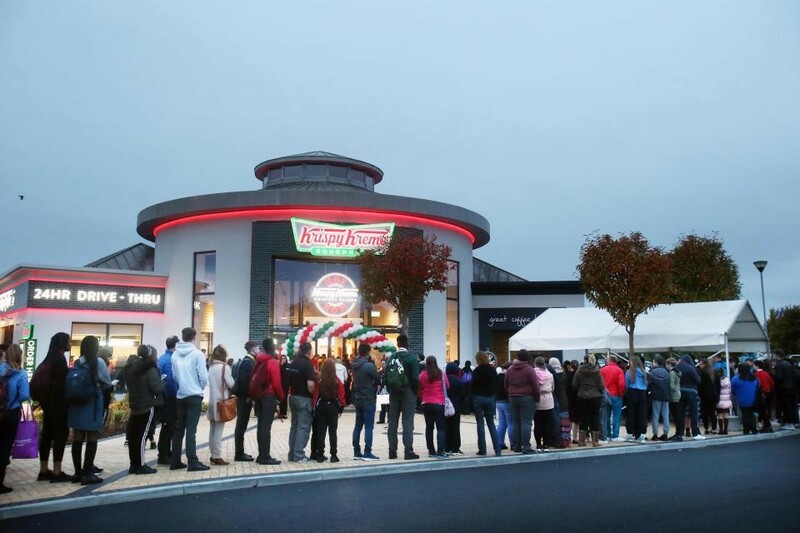 LED ILLUMINATIONS were approached by Into Electrical to come up with a solution to light the exterior of the first Krispy Kreme store and 24 hour drive thru in Ireland. Krispy Kreme have a famous exterior ‘Hot Light’ which changes from a warm white to RED when the store is baking doughnuts. LED Illuminations working with their LED manufacturer developed a 60LED/m ribbon with alternate red &amp; warm white (3000K) 5050 LEDs in 24V. A new mold was made to allow four wires, 2 positive & 2 negative, to power the LED ribbon by two 24V LED transformers. The Krispy Kreme store has an in-house switch gear system which allows the operator to switch the lights over to RED once the baking starts. The LED ribbon was made in various lengths and in IP65 housed in a silicon tube with RED adhesive tape on the back and then housed in a surface extrusion with frosted diffuser. LED Illuminations also supplied the LED IP67 Meanwell transformers. We extended the integral power cable on the LED ribbon to 5m to make installation easier. The owner was so impressed with the lighting that he has ordered further lighting to light up the tower not that they need to draw more attention as the store has had 1hr queues since opening!